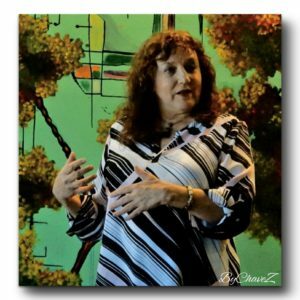 Virginia Goszewska (go-SHEF-ska) is a speaker and coach who awakens people to ignite their Soul’s goals and be richly compensated doing what they love. Since her crisis from her faltering health, finances, marriage and career in 1991, Virginia uses her story of transformation to guide people who long to share their gifts or business with the world in a BIGGER way but don’t know how or feel stuck. Based on decades of extensive research and discoveries, she created the unique mastermind and success program Soulgoals: A Step-by-Step System to Be Richly Compensated Doing What You Love Even if You Failed Before, Lost Hope, Are Afraid, Stuck or Confused. At top-level leadership positions in international corporations and non-profits, Virginia received awards in sales, training, management and business development. From Southeast Asia to the U.K., from Canada to Mexico, thousands of people worldwide have benefited from her expertise, support, inspiration, compassionate insights, and common sense. Her clients’ successes include one of Austin Business Journal’s Top 25 Most Influential Women of Austin; a vending machine owner who created oil businesses worth over $100 million; a self-employed business woman who became the City Architect of a major US city; top Realtors; a part-time commodity trader who increased profits by 80% in three months; and a leasing manager/bookkeeper who is now singing and painting once again.